Do you need to have your garage door repaired? Trust only the number one in the industry — A1 Garage Door Service. We have the best team of expert professionals who know how to handle each and every type of garage door and its components. From broken rollers to faulty garage door openers to bent door tracks and damaged garage door springs — we know how to fix it quickly and efficiently. What’s more, we have 24/7 emergency service in Tampa, FL to ensure that you will never be inconvenienced. Contact us now in Tampa, FL at 813-575-2800 now. We know that you can oftentimes experience issues with your garage doors at the most inconvenient times — sometimes in the worst weather and even during the odd hours at night. The thing is, these problems are not just inconvenient but can also be dangerous and cause accidents. That is why, we do not recommend hiring amateurs or adopting DIY solutions. We are available 24 hours, 7 days a week to address all your garage door needs in Tampa, FL. Our 24-Hour Emergency Garage Door Service in Tampa, FL comes with the highest quality service at the lowest possible price. What’s more, our technicians will give you on-site FREE cost estimates. To get the best value for your money, get in touch with us for your emergency garage door needs. By calling us, you will benefit from our decade of experience in garage door service and repairs. Our technicians in Tampa, FL are well-trained and can handle any type of problem with your broken garage door springs. Whatever is the problem with your torsion springs, we are equipped to help you. What’s more, A1 Garage Door Service in Tampa, FL guarantees that our torsion springs are of the best quality and durability. As such, we offer LIFETIME warranties when you use our garage door springs and avail our services. Our warranty covers all labor charges for replacing or adjusting door springs. We do not just value your business, we will care for your garage door spring needs for a lifetime. 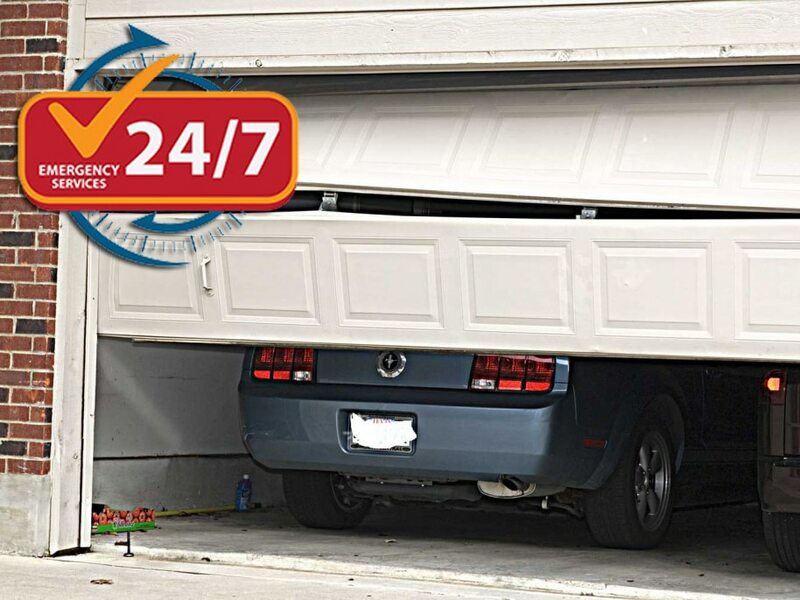 Our technicians in Tampa, FL are available round the clock, 7 days a week to take your call and provide you with emergency garage door service. We pride ourselves in providing you with assistance as you need it and when you need it. No matter the time of night or the kind of weather you have in Tampa, FL, when you call and need our assistance, you will always be a priority. That’s A1 service for you! When it comes to garage doors, A1 Garage Door Service in Tampa, FL is the name you can trust. Since 2006, we are the industry leader in the installation and repair of garage doors and all of its components. Even for a simple problem like broken or malfunctioning rollers, do not hesitate to go to us. We will always do our best to give you the best value for your money, with only the highest quality service from our technicians. When you contact us in Tampa, FL, we will only dispatch our best and most qualified technicians to service your garage door requirements. No matter what your needs are, from as simple as lubricating your garage door rollers to replacing your heavy garage door, you can trust our technicians to always give you the most cost-effective professional advice. A1 Garage Door Service in Tampa, FL has been in the business of installing and repairing garage doors and all of its components since 2006. In our years in the business, safety has always been our primary concern. It is important to us that your garage door is not only in working order but will not cause undue harm. When we mobilize our technicians in Tampa, FL to either install or check on your garage door, the conduct of safety checks is part of their standard operation. 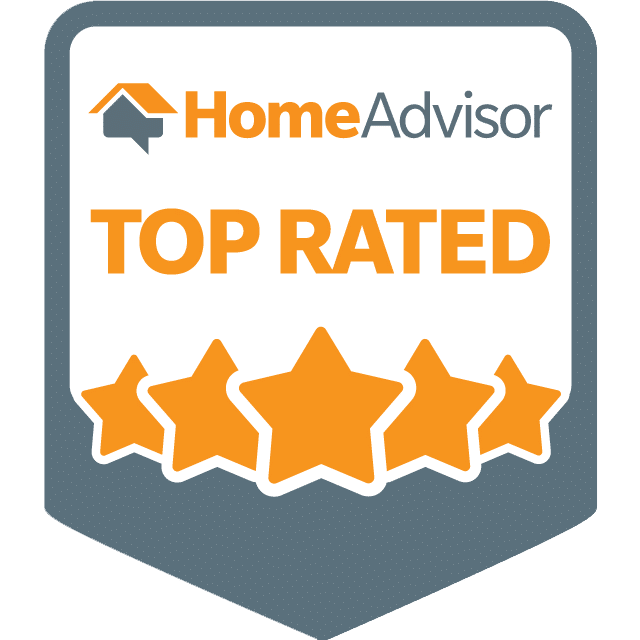 This is why we have always been getting the Yelp 5 Star rating, A+ rating from BBB and Super Service Award from Angie’s List courtesy of our satisfied customers. As such, do not hesitate to contact A1 Garage Door Service in Tampa, FL for the proper maintenance of your garage doors. We value your trust and confidence in us. We will always give you the most cost-effective advice with regard to your garage door needs. Furthermore, we will never take advantage of you. We have a name to protect as a member of Arizona’s Registrar of Contractors. Know also that we are licensed, bonded and insured — this information is relevant for your added protection in Tampa, FL. A1 Garage Door Service in Tampa, FL specializes in everything related to garage doors. We are recognized by Arizona’s Registrar of Contractors; we are licensed, bonded and insured. A broken or bent garage door or panel usually happen by accident, such as when you are trying to back out of your garage door and you hit the bottom portion. Unfortunately, if you don’t get this fixed, it may not only affect the other components of your garage door but compromise the security and safety of your home. As such, never hesitate to call the A1 Garage Door Service in Tampa, FL, the industry leader in installing and maintaining garage doors. We will replace your garage door at the most reasonable cost. A1 Garage Door Service in Tampa, FL, in operation since 2006, is trusted and respected in the industry for our expertise and high quality service. From minor fixes to major repairs and installations, our dedicated customers patronize us as we are always prompt, effective and professional. If you need our service and require a background check, note our registration with Arizona’s Registrar of Contractors. We are also licensed, bonded and insured, hence, you can trust that all of our service and maintenance work is done with only the utmost quality. What’s more, we only carry durable and reliable parts and components for your garage door. Our weather seals and insulators, for example, work doubly hard in all kinds of weather and keeps away unwanted dirt, leaves and water from your garage. This is because we want only the best for our customers in Tampa, FL. We at A1 Garage Door Service in Tampa, FL know fully well the benefits of a proper insulation on your garage door. That is why we always advise our customers in Tampa, FL to make their garage energy-efficient by providing recommendations on the appropriate insulation materials and brands. We at A1 Garage Door Service in Tampa, FL know that you have a lot of concerns and we never want you to be additionally burdened by costly maintenance service or repairs. We can proudly say that our best service come at the lowest possible price. What’s more, for your protection, we are licensed, bonded and insured. We are also registered at the Arizona Registrar of Contractors. As such, you can trust us to do quality work on all your garage door needs in Tampa, FL.